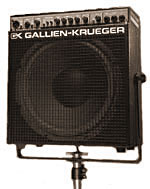 Both amps are also available as amp heads (weight 7.2 lbs). This was the second amp I bought for double bass, about 15 years ago (the first one was a Polytone). I really liked the small size and its power. But I disliked the lack of a high impedance (piezo) input, and the sound.